I recently made the 8-hour, 500-mile round-trip from Washington to the old industrial town of Scranton, Pennsylvania to photograph the famous Scranton Lace Company building. This part of America’s industrial heartland has long held a special fascination for me. 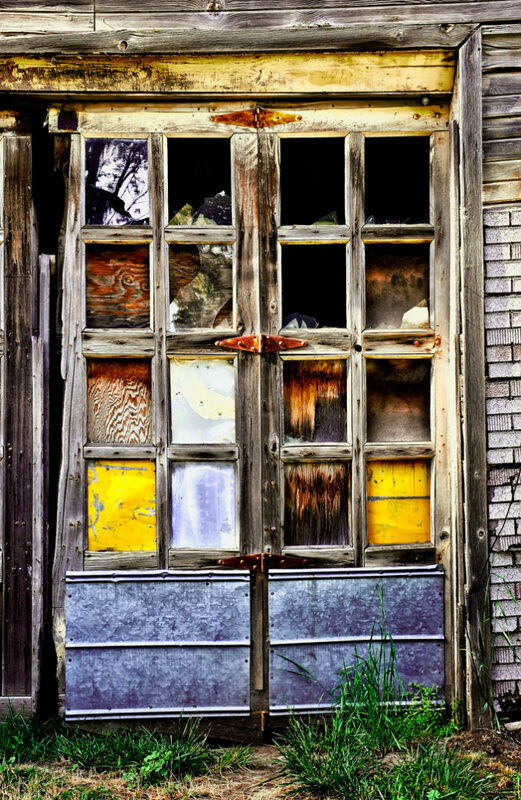 Scranton’s story is the history of America’s heavy industry. It’s the story of coal and coke, iron and steel and the other manufacturing industries that built towns like Scranton, Bethlehem and Allentown and whose demise turned those same, once booming towns into archetypes of the human tragedy that we now call the “Rust Belt”. Production at Scranton Lace spanned three centuries. The factory first opened for business in 1890 and, for the last eighty years of the twentieth century, it was America’s and the world’s largest manufacturer of Nottingham lace, employing 1,400 workers in its heyday. It closed abruptly in 2002, the workers shown the door with no notice, leaving the looms standing in mid-run and abandoning personal belongings. As a result of its brutal end, Scranton Lace stands as a museum to a once-dominant industry. As an employer, Scranton Lace had been extraordinarily paternalistic, providing generous facilities for its employees, to keep them from the embrace of the unions: a bowling alley, a theatre, a beauty parlor, an infirmary and an indoor basketball court. Once inside, I was struck by the vast scale of the place. It’s not one building but a labyrinth of several, as the factory was expanded at various times throughout its 112-year history. 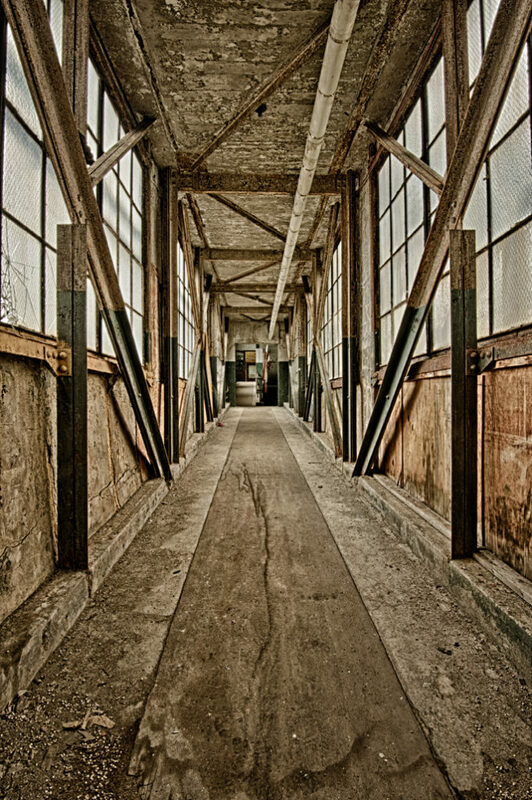 The site comprises room after cavernous room crammed with machinery, shelving, production materials, broken furniture and personal artifacts, all linked by long, shadowy corridors. 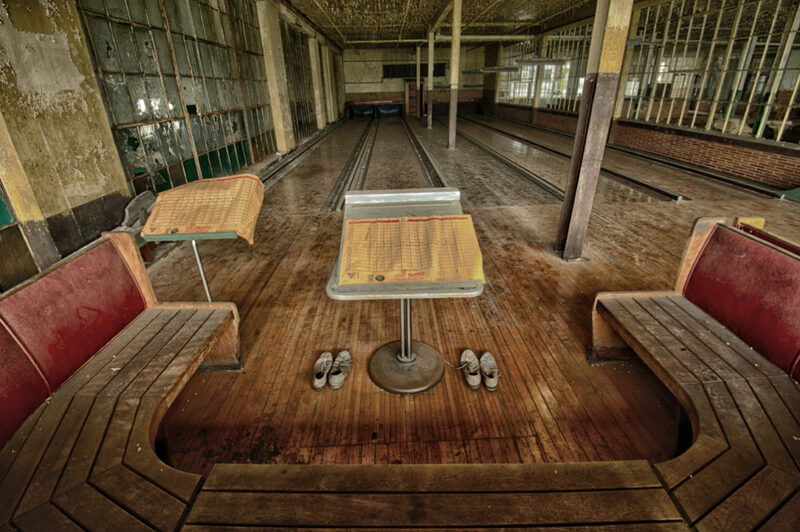 In every room, there were relics of the long-abandoned lives of former employees: bowling shoes, clothing and glasses. Also, evidence of their long-ago toil: looms with thread loaded and ready to run, curtains arrested in mid-manufacture, hand-painted drawings of elaborate lace designs and carts filled with the cards once used to stamp those designs into fabric. Much of the time, I wasn’t taking any photographs at all; just standing, staring at various personal belongings, left-overs of hard-working people with once secure, well-paying jobs, wondering about the lives they led, the work they did. I visualized the people who worked here in the 50s and 60s: men with greased-back DAs, women with beehive hairdos. Alternatively, I would stare at the vast halls, the monstrous industrial machines, built on a scale beyond the human, and imagine them swarming with workers sweating amid the din created by myriad moving mechanical parts. The combination of vast, dark interiors and bright early-autumn sunlight cascading through broken glass made exposure bracketing and a wide-angle lens logical choices: I shot almost all day using just my 16-35mm lens. 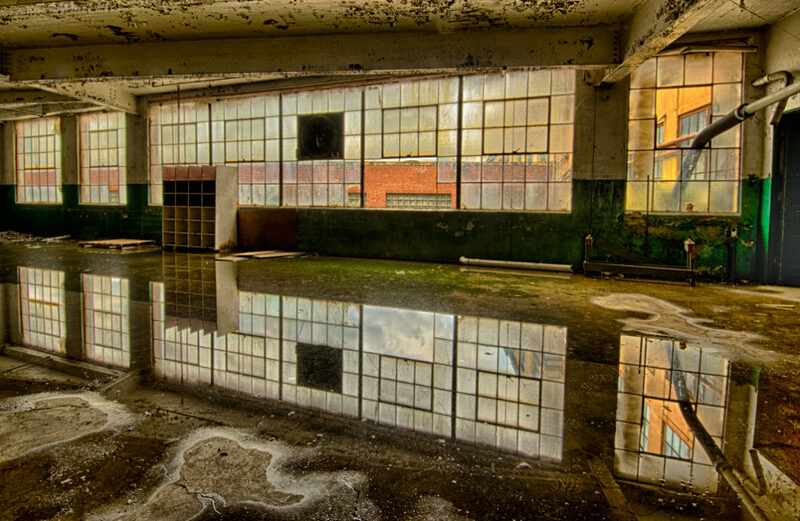 All of the featured images are high dynamic range (HDR), which was essential to deal with the wide contrast between light and dark inside the factory. 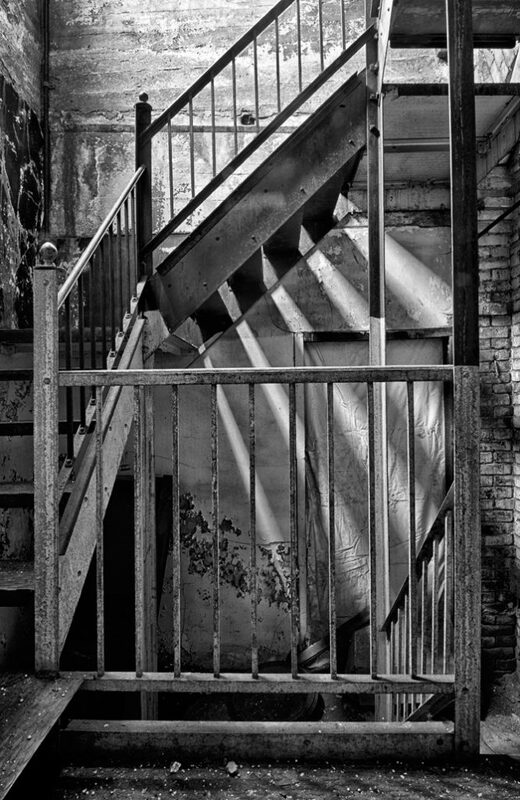 The range varied from room to room, the lead image requiring seven images shot at one-stop intervals, the black & white image of the staircase needing five. In a five-hour shoot, I barely scratched the surface of the place. More from Scranton Lace in a future blog. 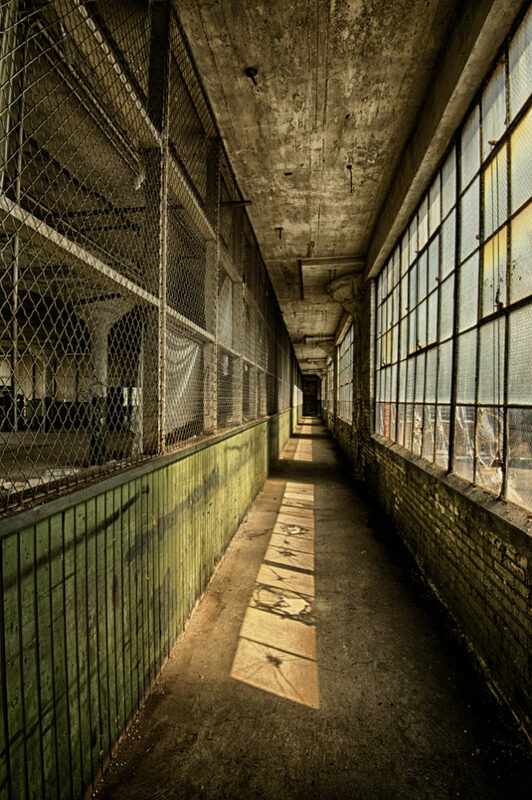 In the meantime, I’m already planning a return visit to capture more of this inspirational old facility. When I bought my first digital camera about five years ago, the first challenge I faced was deciding which subjects to shoot. My first thought was flowers. This was an easy enough choice to make, as flowers are a source of beauty, offer an endless variety of form and color and are readily available in gardens and stores. But, when I started photographing flowers, I was hugely disappointed in the images I produced at first. 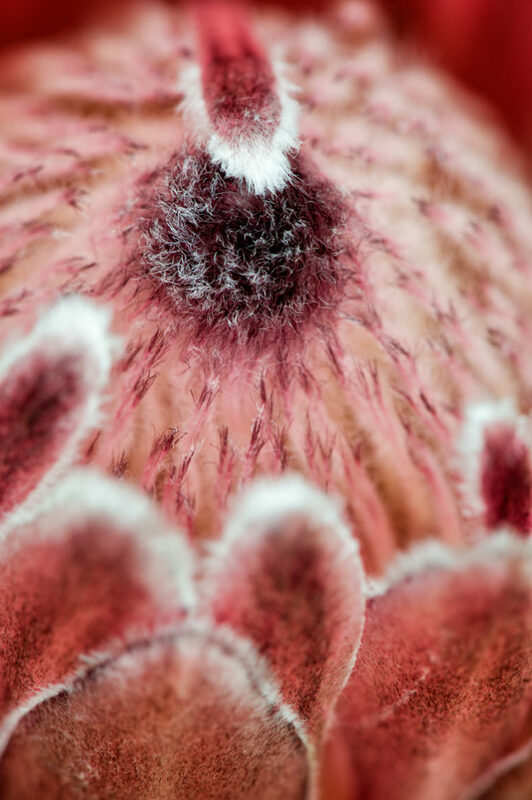 It took me several months, a lot of practice, research, reading and attending workshops run by flower photographers whose work I admired – people like Joshua Taylor Jr. and Corey Hilz – before I unlocked the secrets of creating a successful flower photograph. I’m sharing those secrets in this blog post. There are basically two key elements. The first is to isolate the subject. 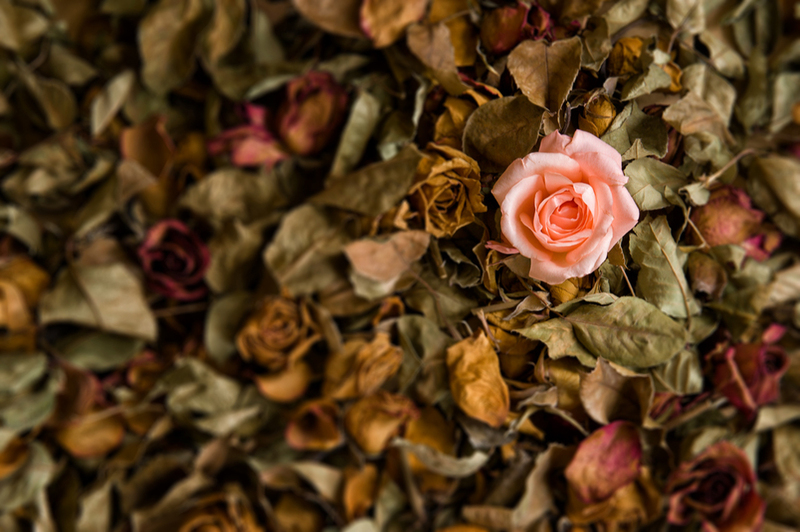 This means finding a flower that is growing alone or, if you come upon a clump of flowers, looking around the edges to identify one or more flowers that stand slightly apart from the rest. Finding these outliers will make it easier to isolate the subject and create a clean composition. 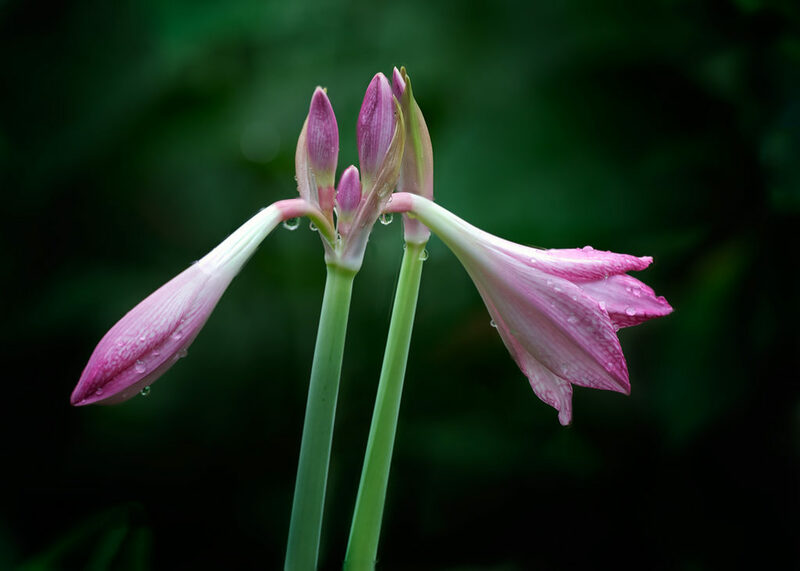 For example, the blog image was created by photographing two flowers from among a large clump of lilies that I came upon in the National Botanic Garden in Washington, DC. The second image shows the whole clump of lilies which, while they looked beautiful to the naked eye, make a lousy image when photographed altogether. 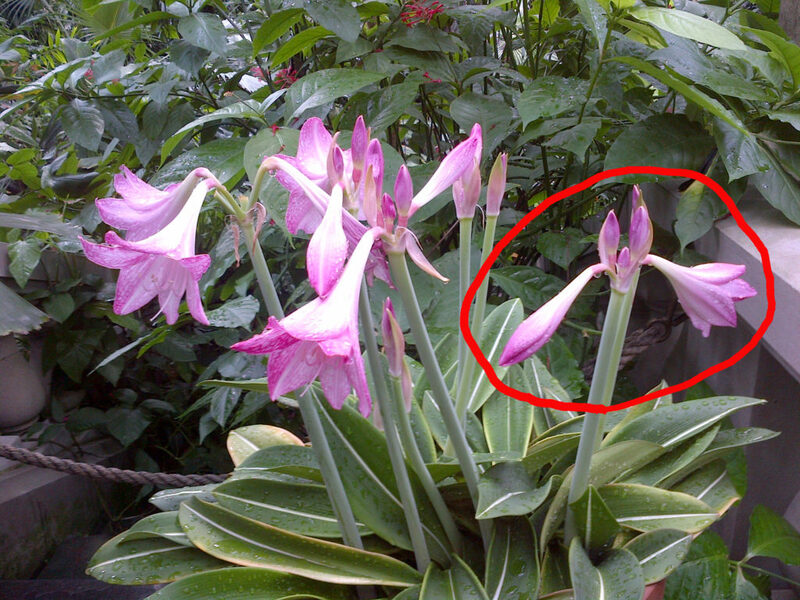 I have circled the two lilies that were growing on the edge of the clump, which are the ones featured in the blog image. The second element in creating a successful image is to simplify the composition. This means deciding what is the subject of the photo and stripping out everything else that is not the subject. In this case, my subject was the two lilies, so I had to take care to exclude everything but them from my composition. You can see, from the second image, that the scene around this clump of lilies was very busy: there was a concrete wall to one side, a separating rope, and several other plants growing nearby in the cramped greenhouse. In crafting my image, I had to find a way to take out all these distracting elements. The first thing I did was to get down low and shoot the lilies at their own height. Secondly, I chose a shallow depth of field – f3.5 – in order to blur the foliage of the plants in the background. Of course, shooting at f3.5 meant that only a small section of the flowers would be in focus. To overcome this problem, I took eight separate photographs of the flowers, with exactly the same composition and exposure settings but focusing manually on a different area of the plants in each photo, until I was sure I had all of the flowers in focus from front to back. I then focus-stacked these eight images, using a software program called Helicon Focus, into a single, in-focus image. Photographing the lilies with a smaller aperture, say, f11 or f16, would have kept more of the lilies in focus but would also have resulted in part or all of the plants in the background being in focus, too. This would have distracted the viewer’s eye from the main subject of the image. Shooting with such a shallow depth of field enabled me to throw the background into a soft blur, which helps to simplify the composition: as only the lilies are in focus, that’s where the viewer’s eye comes to rest and stays. As a photographer, that’s precisely what I am trying to achieve. A neutral background is an essential element in a successful flower photo. 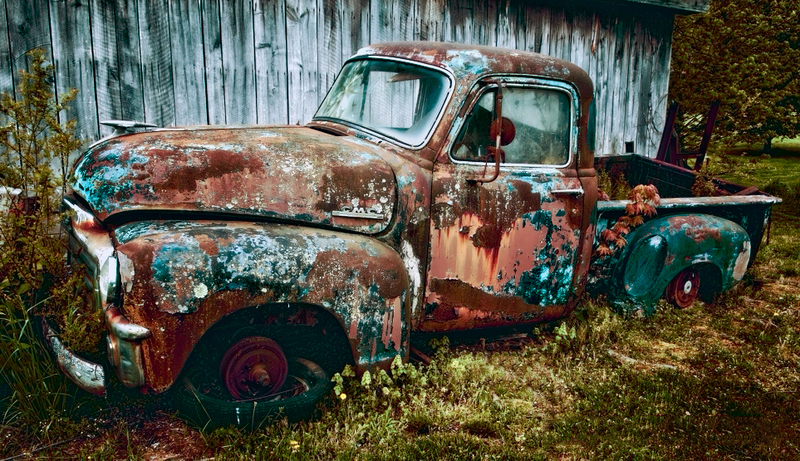 Distracting elements or conflicting colors in the background can ruin an image. Indeed, this is such an important consideration that some flower photographers make a point of finding a pleasing background first, then look for a flower to put in front of it. In this case, I didn’t have the luxury of changing the background but, with a little thought and careful aperture selection, I was able to overcome the challenges of an unpromising-looking scene and get my pleasing background, anyway. So, to create a successful flower photograph, isolate the subject and simplify the composition. Mike Moats is the first photographer I heard expounding the theory that flowers have personalities. Mike’s idea is that, just like people, certain flowers are simply more characterful than others. Just as some people can be rather dull, so can some flowers. And, just as some people can have bags of charisma, so can certain flowers. Intrigued by Mike’s idea –and, to be honest, when it comes to macro photography, I’m intrigued by a lot of Mike’s ideas – I have started seeking out these show-off flowers myself. Shooting at the Rawlings Conservatory in Baltimore this afternoon, I happened upon this queen protea (protea neriifolia) shrub, where one of the petals had folded down over the centre of the flower head, giving the flower an unusual, intriguing look. It really grabbed my attention and drew me in to photograph it. Sometimes, it’s the things that flowers do, rather than the way they look, that give them personality. 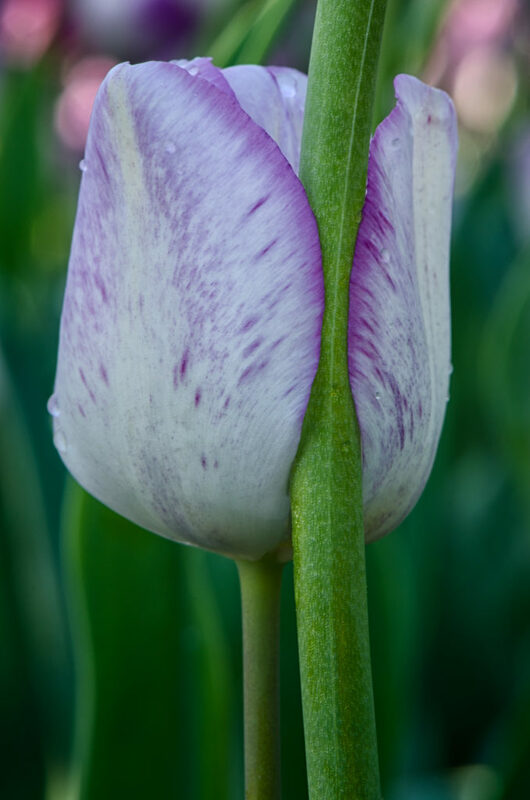 This purple tulip was in the early stages of dying. Its stem had lost its strength and the flower had become top-heavy, so the bulb had toppled over. 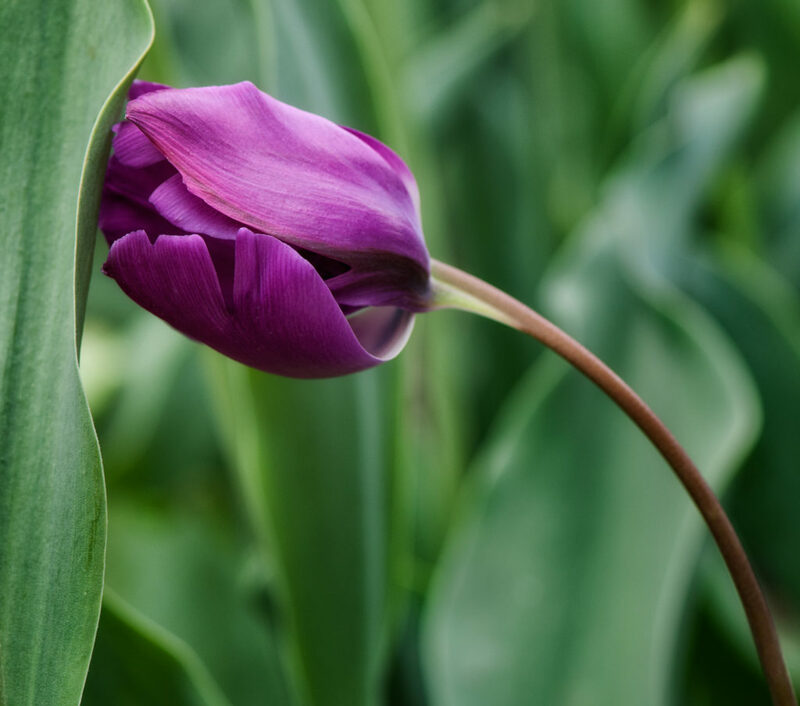 On its way down, the bulb fell against the leaves of a still-healthy tulip nearby and had become wedged there. The flower looked like it was taking a temporary rest on its way down to die. It was a pitiable sight, crying out not so much for attention as for sympathy: a tiny scene within a large flower bed that seemed to encapsulate the imminent passing of Spring. So, it seems that some flowers do have personality, after all. Finding them can make for more interesting flower photographs. Johannes Itten (1888-1967), a Swiss expressionist painter, designer and teacher, taught the Basic Design Course at the Bauhaus school of art, design and architecture in Weimar, Germany from 1919 until 1922. He was one of the 20th century’s most influential thinkers on the theory of design. Indeed, I still find his ideas in many of the books on photographic composition that I read today. His work on color theory, associating certain color palettes with four different types of people, named after the four seasons of the year, is still used by the cosmetics and fashion industries to this day. Itten’s book, “Design and Form” is still in print ($130 new; $25 used from Amazon) and remains worthy of study by photographers interested in exploring how they can apply the principles of design to strengthen their image-making. His theory of artistic composition was based on the principle of contrasts. He challenged his students to think of as many different types of contrast as possible: large-small, thick-thin, high-low, broad-narrow, light-dark, soft-hard, many-few and so on. While I never had the good fortune to take one of Itten’s classes, I have on occasion challenged myself to do his exercises and to apply them to my photography. I thought of a new one, not mentioned in Itten’s book: alive-dead. The challenge was to find a photographic subject to apply it to. People? Could get me into trouble. Animals? Too cruel. So, I settled on flowers. The blog image is a result of my challenging myself to apply Johannes Itten’s thinking about design. It still works – a hundred years after he taught it. I’ve been a fan of Topaz plug-ins for about three years now, have bought several of them, starting with Adjust 4, and have gotten into the habit of buying each new one as soon as it comes out. I don’t have to think too hard about buying them because I trust the brand and know they are all going to be good. As an amateur photographer, I particularly like Topaz’s pricing policy: 50% discount on each new plug-in at the time of launch and, so far, free upgrades to subsequent versions. To date, there have been no expensive annual upgrades at $100 per plug-in, as has been Nik’s pricing policy in the past, though, to be fair to Nik, their pricing seems to have become more reasonable since Google bought them. True to form, I bought ReStyle when it was launched last month and paid $30, as opposed to the regular price of $60. At that price, it’s outstanding value for money. First off, the interface is slick and elegant, as one would expect from Topaz. While the layout is similar to their other plug-ins – pre-sets (called “Collections” in ReStyle) on the left of the screen, sliders on the right and the main image preview screen in the middle – the functionality of this app is very different from previous Topaz products. It’s the closest thing I’ve seen to an iPhone processing app for DSLR-generated image and offers similar breadth of creativity. Within each of the eleven Collections in ReStyle, there is a multitude of pre-sets – more than a thousand in all – which add up to almost unlimited creativity. While one could easily be overwhelmed by the wide range of different looks on offer, in fact, I found ReStyle quite intuitive to use. For example, when working on an image of a flower, the “Nature” collection was the obvious place to start. Alternatively, of course, one could choose a less obvious starting point – for example, processing a flower image with the “Underwater” or “Moody” collection – and end up with a totally different and no doubt quite zany image. Within each Collection, the Grid View allows you to see on one screen how each sub-set would change the look of your image. The interface looks a lot like Totally Rad’s RadLab program. From within Grid View, I found it quite intuitive to pick one pre-set as a starting point for processing my image, simply by choosing the pre-set which comes closest to my vision for what I want the image to end up looking like. There is no need to over-think the process or to work through all the pre-sets available – just follow your creative instinct. 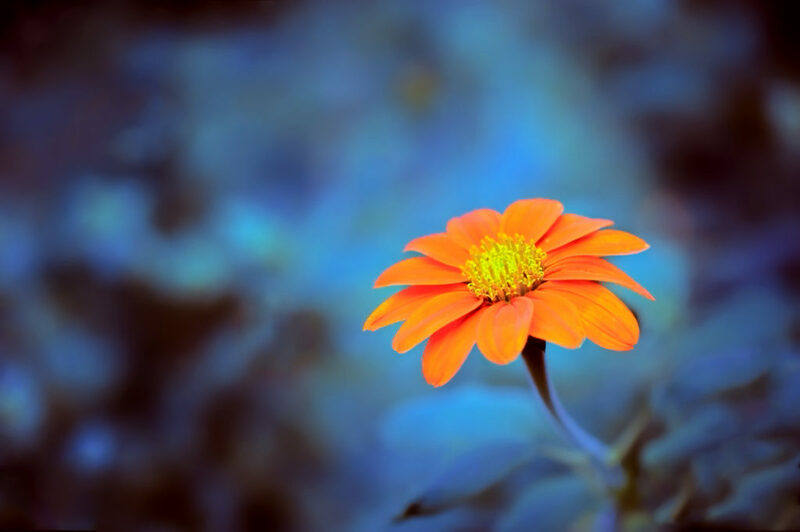 For the lead flower image, I started off with the Nature collection, then choose the “Blue Skies and Cherry Blossoms” pre-set, from which it took only a few clicks to produce this alternative look, which turns the green foliage to blue and made the orange flower really pop. For the image of the truck, I used the Street Collection and, within it, the “Black Ecru” sub-set to get a really grungy look. In processing all these images, I relied on one of the most powerful tools within ReStyle: the ability to control the Hue, Saturation and Luminosity separately for each of the dominant colors in the image – a very powerful feature. In summary, ReStyle offers an almost limitless range of creative options but its slick design and ease of use makes producing alternative-looking images surprisingly easy and intuitive.